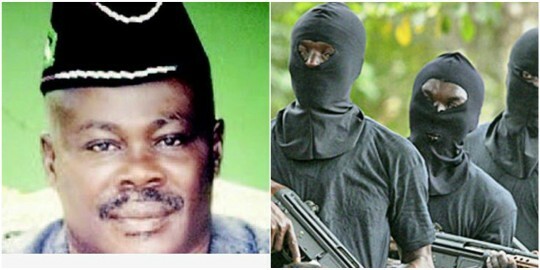 Four gunmen have shot dead the newly sworn in Ukanafun Local Government Area Secretary, Mr. Ime Atakpa (aka Strong). Ime was shot dead on Sunday on his farm, which was in a boys’ quarters in his house in Ukanafun, Akwa Ibom State. .
PUNCH Metro learnt that the deceased was a former chairman of the Ukanafun LGA. She said, “Ukanafun has been in a crisis since December 2016. Some youths go about with guns in broad daylight. Many village heads and other well-meaning people in the community have been killed by these youths. “Three persons were killed on Saturday in the area.” The state Police Public Relations Officer, Mr. Chukwu Ikechukwu, confirmed the incident. Ikechukwu said, “The man was on his farm in the Ukanafun LGA when four gunmen shot him.” The police spokesman said the police were not aware of the other killings in the community.